Newcomer Family Obituaries - Kimberly L. Ajamie 1968 - 2019 - Newcomer Cremations, Funerals & Receptions. 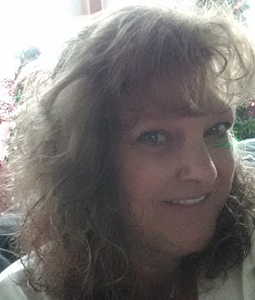 Kimberly L. Ajamie, "Kim", age 51 of Akron, Ohio, died on Saturday, January 26, 2019 at her home. She was born on January 15, 1968 in Akron, the daughter of Juanita Lucielle (nee Hall) Field with whom she lived and the late Michael Leo Field. Kim was a driver for Southeast Transportation in Akron. She enjoyed baking-making cookies with her daughter, Morgan. She loved her animals. But her greatest love was spending time with her children and family. In addition to her mother, Kimberly is survived by two daughters, Courtney Ajamie and Morgan Hildreth; her siblings, Brian (Jody) Field and Kathy Field; her two nephews, Zachary (Alysha) Field and Joey Field; and her great-niece, Jacey Field. Other than her father, Kim was preceded in death by her grandmother, Mary Adkins, her grandfather, Leo Field, and her aunt, Patrice Caslow. There will not be any calling hours or services and arrangements have been entrusted to the care of Newcomer Funeral Home, Akron. Add your memories to the guest book of Kimberly Ajamie. Kimberley was my first cousin once removed. Her father, Michael, was my first cousin. I am so sorry to hear about her death. My love to all of her family, especially Juanita. Dear Juanita: You know how sorry I am about the death of Kim. I can't even imagine losing a child and I pray that you can hold onto the good memories you have of Kim and those will help to give you strength and eventually, peace. I'm here 24 hours for you, just call me. We've been through too much of this together....Love you, Becky. Courtney and Morgan: I pray that you can go through the grieving process and eventually heal. This was so sudden and I'm so sorry it happened. You both are going to need each other and your Grandma and Courtney, if you need to talk to someone that's not family, I'm here. Please don't hesitate to call me. Your friend, Becky.